The Rice Lake iDimension LTL optimizes dimensional shipping and enhances quality assurance verification in loading bays, warehouses, and shipping and receiving departments. Years ago when we thought about shipping pallets via UPS Freight, FedEx Freight, Saia, USF Holland, etc... we just placed a pallet on top of the floor scale, wrote down the pallet weight, and we then sent our cargo off with the freight carrier. Then we simplified the process by connecting the electronic scale to our desktop computer so the actual package weight displayed inside the shipping software. Well, now we have to update our process again since more LTL freight carriers are starting look at both pallet weight and dimensions when it comes to calculating the cost to ship a pallet. These systems are not inexpensive but when you consider the additional costs of having employees measure by hand each and every pallet, then record the information (hopefully writing down the numbers correctly) the return on investment (ROI) for an iDimension LTL system can be achieved fairly quickly. And don't forget the freight carriers have started billing customers for pallets that had a DIM weight that was higher than the actual weight. 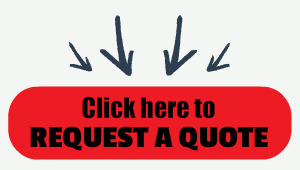 So an iDimension LTL ROI could be achieved fairly quickly, depending on how many pallets you ship on a daily basis. The iDimension LTL uses advanced sensing technology to accurately determine the cubic dimensions of freight. Its ability to capture NTEP Certified dimensions helps ensure freight code compliance and deters revenue-loss from miscalculated dimensions. The iDimension LTL is ideal for LTL carriers and shipping departments with a high percentage of product shipped via pallet or crate. It removes the potential for human error and the extra labor of manually determining cubic dimensions by accurately capturing freight dimensions. Up to two cameras can be added to provide images of the freight for visual verification of the freight’s condition at the time of measurement. Images can include dimensions and a time & date stamp. With no moving parts and a solid-state design, maintenance of the iDimension LTL is virtually non-existent. 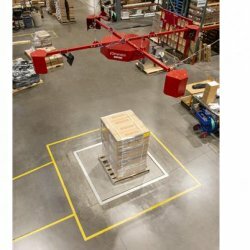 The ceiling mounted system offers 360-degree access for easy pallet placement within the 8 x 8 feet target area. Its advanced imaging technology dimensions LTL freight at an incredibly fast rate of 2-3 seconds within 0.5 inch accuracy. The operator display, mounted on the system, provides a visual of freight dimensions to the forklift driver. Once a pallet has been dimensioned, the L x W x H measurements and a “Remove” message is displayed to indicate the system has completed dimensioning and the forklift driver can remove the freight. A Windows®-based software program and industrial touchscreen PC provide connectivity with bar code scanners, floor scales, and other networked devices to trigger the system to dimension. You can then transmit data and images for each transaction into your management system.